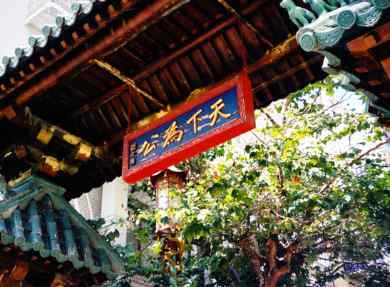 SF Chinatown Ghost Tours invites you to explore the mysteries and traditions of ancient Chinese Feng Shui. Learn about the concepts of harmony and balance and how they affect the life energy all around us. Feng Shui literally means 'wind & water' in Chinese and evolved from the theory that people are affected for better or worse by their surroundings. San Francisco Chinatown has a rich and diverse history and has shrouded many a secret over the years. Come and experience the unfolding of this bewitching narrative from which the profound roots of Feng Shui flow. We encourage you to read more about Feng Shui by clicking here. Our Feng Shui Dim Sum Walking Tours are scheduled daily and run for two hours. Tours are available by reservation only. Tours meet at (see map below). If you have any inquiries or special requests, please contact us and we’ll do our best to accommodate you. And make sure to check out our Fortune Cookie Factory and the original, ever-popular SF Chinatown Ghost Tours !